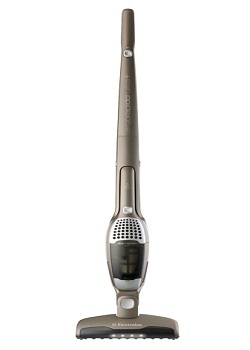 The lightweight Electrolux Ergorapido Ultra+ stick vacuum EL1022A is a great choice for quick cleaning of your bare floors as well as using as a hand vacuum for quick pickups around your home. This cordless stick vacuum will go wherever you go as it is easy to maneuver and its lightweight allows you to carry it anywhere. It has a bag less design--with no-touch dust cup and a snap-spring filter that removes all the dirt. 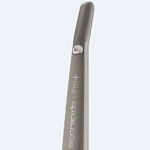 Extremely easy to empty and eliminates the need to buy costly replacement bags. 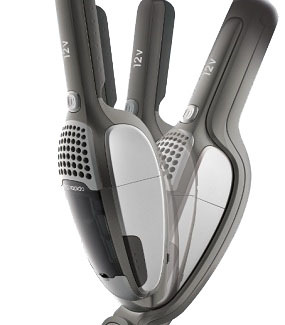 This 2-in-1 vacuum operates with two different suction power modes. The 2-position switch lets you flip from high to low power and back again in an instant. 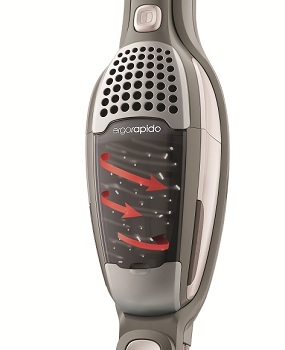 The Ergorapido Ultra+ features a motorized brush roll that completely clean your tile hard wood and other bare floors throughout your home. While it is ideal for bare floors it does well on area rugs as well. The charging station allows easy storage place for the unit and the Ergorapido Ultra+ takes between 15 to 20 hours to completely recharge after fully discharging the battery. 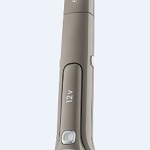 Other features include 12 volts of power crevice and dusting brush tools that are stored in the charging stand and Energy Star qualified battery charger. It weighs 5.3 pounds and has a 0.4 quart dust cup capacity. • Do not use outdoors or on wet surfaces. This vacuum cleaner creates suction and has a revolving brush roll. Keep hair loose clothing fingers and all parts of body away from openings and moving parts. • Place Ergorapido in the charging station. Always make sure that Ergorapido is turned off when placed in the charging station. The blue indicator lights will illuminate and always remain on when Ergorapido is docked properly in its charging station. It takes up to 24 hours to fully charge the batteries before the first use. When fully discharged approximately 15-20 hours of charging is required for the battery to regain full capacity. Ergorapido should be left on charge when not being used. The adaptor may become warm during charging but this is normal. 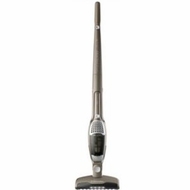 • Lift up the vacuum cleaning cover. 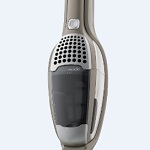 Vacuum clean the dust container by placing the hose handle of another vacuum cleaner against the vacuum cleaning hole. Release the whole dust container by pushing the release button remove the filters and empty the contents into a wastepaper basket. Return the filters and press back the dust container until it clicks into place. • Turn the Ergorapido on. When pushed upwards the vacuum operates in full power. 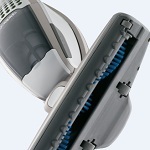 When pushed downwards it operates with intermediate power for longer periods of use. 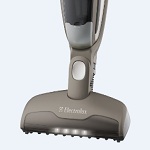 The handle provides a good grip to maneuver the vacuum easily and can rest against the wall without falling.